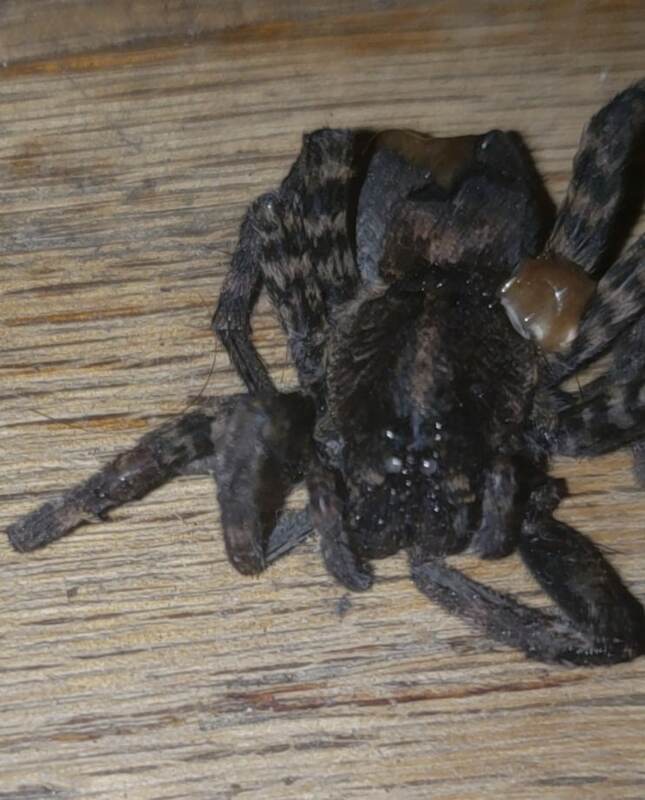 Although we regret having to kill the tarantula looking like spider but it was found in my room running towards me & my husband killed it in fear that it would bite me. I have been trying to research what spider this is & it looks so similar to a tarantula because of its huge body & hairy legs & abdomen. It's black with light brown stripes on it's legs. It was in my house. I'm very curious to know what these spider is. It is a Wolf Spider, one of the Tigrosa species in the family Lycosidae.